What's the difference? I know that \pagebreak can take an optional argument that specifies how much a page break is desired, but is there any difference if the optional argument is not used? Both commands start a new page. If the optional argument is not used, \pagebreak will start a new page and the paragraphs of the old page will be spread out so that the old page will not look like the end of a chapter. With \newpage, on the other hand, the old page will have the blank space at the bottom, because the paragraphs will stick together as if the chapter had ended there. 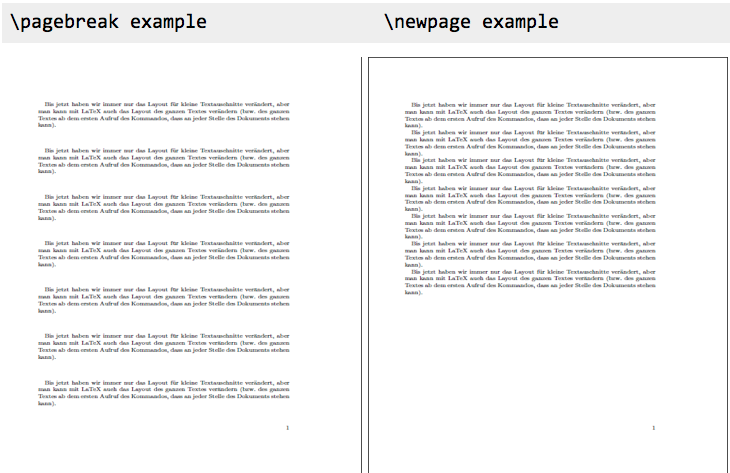 \pagebreak tries to make the page the same height as other pages if it's possible (by stretching intervals between paragraphs etc) and \newpage just fills the page with empty space. 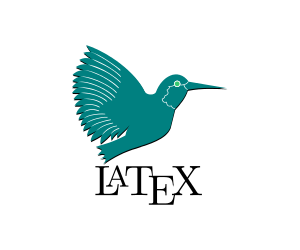 \newpage forces a new page at the point at which it occurs. \pagebreak without options forces a new page at the end of the line in which it occurs. Not the answer you're looking for? Browse other questions tagged vertical-alignment page-breaking or ask your own question. What is the difference between “Page Break” and “New Page”? How to say “this is a good place for a page break”? Why is my text vertically spread out? thmtools: How to prevent pagebreak between theorem and proof? How do I prevent pagebreak in some piece of text? Can \newpage take an argument like \pagebreak?